The Wesley Bell Ringers of Christ United Methodist Church, Salt Lake City, UT will be in concert at 7:30 p.m. on Tuesday, June 20, 2017, in the sanctuary of St. Paul United Methodist Church located at 525 Beech St., Abilene. In 1963, The Wesley Bell Ringers, a music ministry of Christ United Methodist Church in Salt Lake City, UT, began with 9 youth ringers and 25 bells. From the very beginning, though, it was expected that if you wanted to participate you would be dedicated to the group, commit to play handbells to the best of your ability, and most importantly, to caring for, and about, the other members of the group. Fast forward 54 years! The 15 current ringers are the most recent of the 482 youth who have participated in the choir. The experiences have never changed. They provided a foundation to which were added traditions, awards and travel. The choir developed a reputation for musical excellence that continues to open doors to exciting opportunities. The previous 52 summer tours have taken the choir to all 50 states and most of the Canadian provinces. They have performed at the US Capitol, Cathedral of the Pines National Monument, Mt. Rushmore, George Washington Masonic Memorial, Disneyland and Disneyworld. 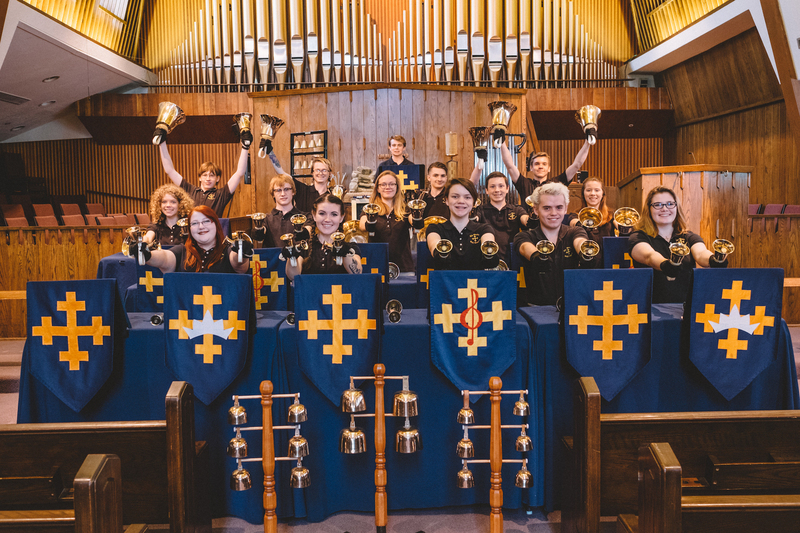 The choir has participated, as the featured choir, at numerous handbell festivals around the United States, and performed for The National Music Educators convention. Performances with The Mormon Tabernacle Choir and The Utah Symphony Orchestra have been repeated honors over the choir’s history. The 2017 concert includes the music of Claude Debussy, Camille Saint-Saens, and notable handbell composers Cynthia Dobrinski and Jason Krug, as well as exciting selections from the 2016 Christmas season. Admission to the concert is free, and a free will offering will be collected.